Vahak Stephan Hovnanian is a successful businessman, real estate developer and philanthropist. 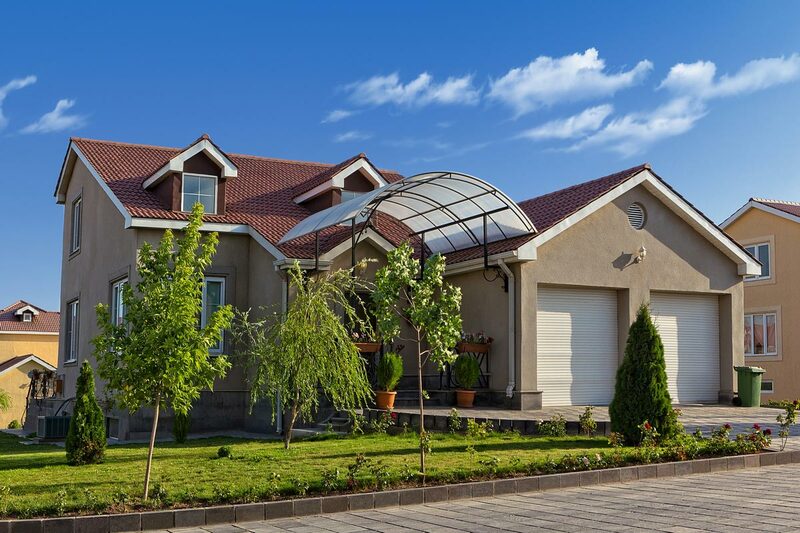 Mr. Hovnanian has been in a real estate business for about five decades. 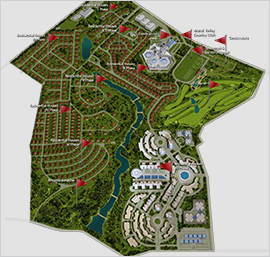 His companies have developed over 5000 homes and several commercial properties throughout the United States. In 1959 Mr. Hovnanian and his brothers formed the Hovnanian Brothers Corporation. Together, they developed thousands of homes in New Jersey, until going their respective ways ten years later. 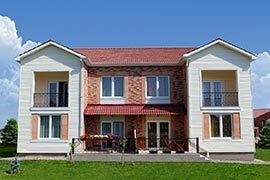 In 1969, Mr. Hovnanian organized his own real estate development company, Hovbilt, Inc., which in the ensuing years has developed many successful and award-winning residential communities. 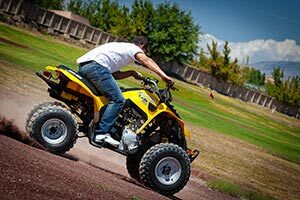 With growth came diversification and the formation of several affiliated companies under the name of V.S. Hovnanian Group, Inc. which included Adelphia Water Company, Adelphia Sewer Company, Hovnanian Realty, Clear Title Agency, and Grandview Cable. 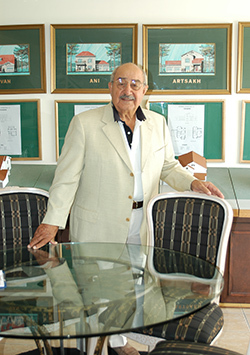 In 1985, Vahak and his son Shant pioneered a multi-faceted broadband telecommunications company by establishing CellularVision, Inc., which has become later SpeedUS, Inc.
A lover of "all things Armenian," Mr. Hovnanian has dedicated himself to supporting and preserving Armenian culture and heritage, and revitalizing the independent Republic of Armenia. Mr. Hovnanian together with his wife Hasmig have played prominent role in promoting educational, religious and cultural needs of the Armenian community in the Northeastern United States. The couple has also been heavily involved in charity work. During 1960s, Mr. Hovnanian served as the President of the Board of Trustees for St. Vartanantz Armenian Apostolic Church in Ridgefield, NJ. He initiated the celebration of Armenian holidays on their precise day rather than on the closest Sunday, designating St. Vartanantz one of the first Armenian churches in the United States to follow this tradition. In 1969 Vahak and Hasmig Hovnanians were honored for their efforts with a Knighthood in the Order of the Great House of Cilicia and as a Lady of the Great House of Cilicia respectively, by His Holiness Khoren I, Catholicos of Cilicia. In further service to the Armenian Church, Mr. Hovnanian served as an Executive Member of the Board of Directors for the Eastern Prelacy of the Armenian Apostolic Church of America from 1973-1977. During that period he also served as a U.S. National Delegate to the World Council of the Armenian Church's Cilician Catholicosate in Lebanon. One of the greatest achievements of Mr. and Mrs. Hovnanian was the founding of the Armenian School in New Milford, NJ, in 1976 which has been renamed in 1984 into Hovnanian School in their honor. On the occasion of the school's tenth anniversary, Mr. Hovnanian was named Prince of the Armenian Apostolic Church by His Holiness Karekin II, Catholicos of the Holy See of Cilicia, in Antelias Lebanon (later His Holiness Karekin I, Catholicos of All Armenians of the Mother See of Holy Etchmiadzin). 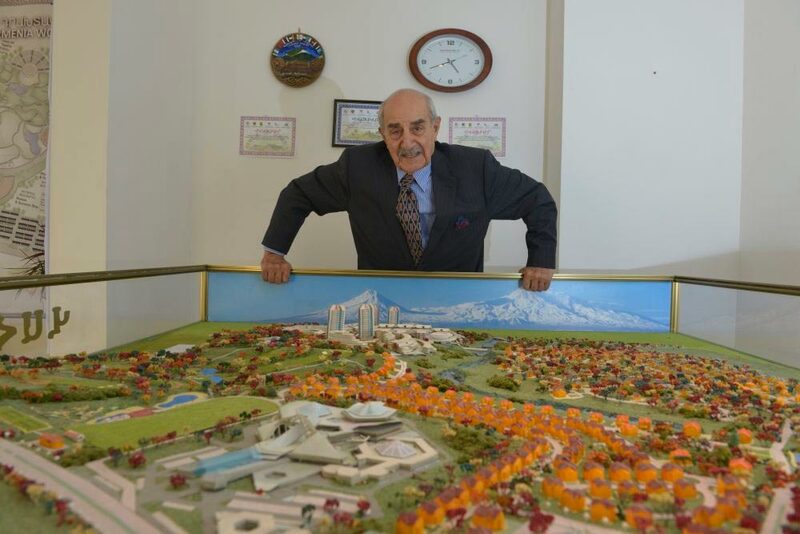 In keeping with his commitment to education, Mr. Hovnanian raised hundreds of thousands of dollars in the aftermath of the 1988 earthquake in Armenia which he contributed to His Holiness Vasken I Catholicos of All Armenians to build a new school in the earthquake zone of Spitak. 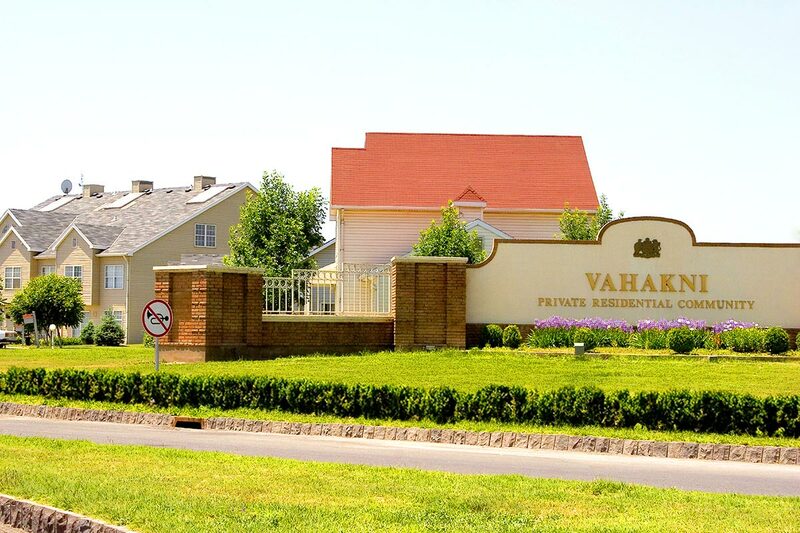 Since 1992, he and his wife have been major benefactors of the Hovnanian School's sister school in Armenia - the Anania Shirakatsy Gemaran in Nork Massif. Mr. Hovnanian has received numerous awards throughout his career which serve to highlight his commitment to the Armenian community. Believing that tourism would boost Armenia's economy, Mr. Hovnanian insisted on considering tourism development a top priority and successfully lobbied the U.S. Government to contribute to it. 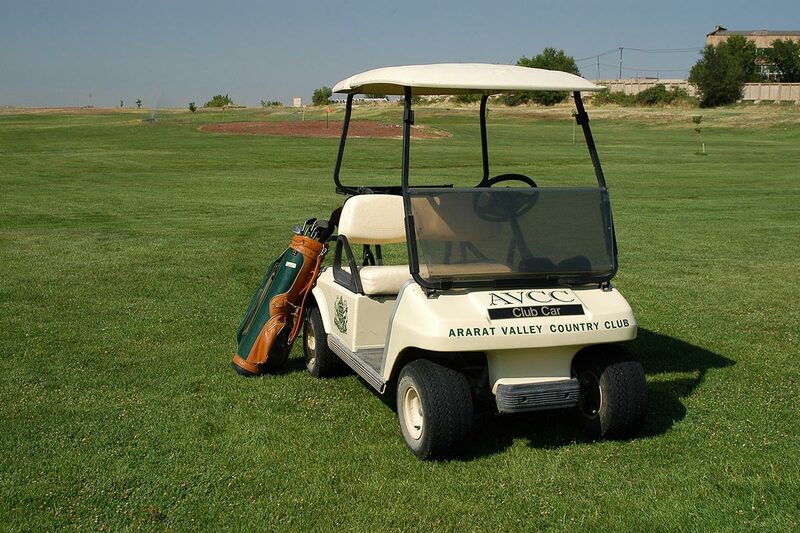 In May 2000, the RA Government chartered the Armenian Tourism Development Agency (ATDA), which was funded by USAID, Mr. Hovnanian himself, and the Armenian Government. ATDA has raised international awareness about Armenia as a world class tourism destination. In 1995, the Hovnanians endorsed Armenia's participation in the Venice Biennale and initiated fundraising for the first Armenian Pavilion. They organized and chaired an international Ball held in Venice where over 250 Armenians from around the world gathered to support Armenia's entry into the international arts scene. While planning this event, they initiated the Kantz Foundation to support young Armenian aspiring artists. Through the Kantz Foundation and the Vahak and Hasmig Hovnanian Foundation, they have supported over 100 young artists from Armenia and outside in their pursuit of prominent careers in the fine and performing arts. In May 2000, Mr. Hovnanian founded the Sayat Nova Award to stimulate and provide financial support to the songwriters and composers of Armenia. In May 2002, The Vahakni Award was initiated to inspire and support other artists in fine and performing arts. Born in Kirkuk, Iraq, Mr. Hovnanian holds a Bachelor of Science degree in Physics from St. Joseph's University in Philadelphia, Pa.
Mr. Hovnanian is a warm and loving family man. Happily married for 50 years to Paris Hasmig Baghdoyan from Jerusalem, he is the proud father of his son Shant and his daughter Nina. They have four beautiful grandchildren: grandson Vahak, twin granddaughters Gayane and Katherina, and granddaughter Paris. 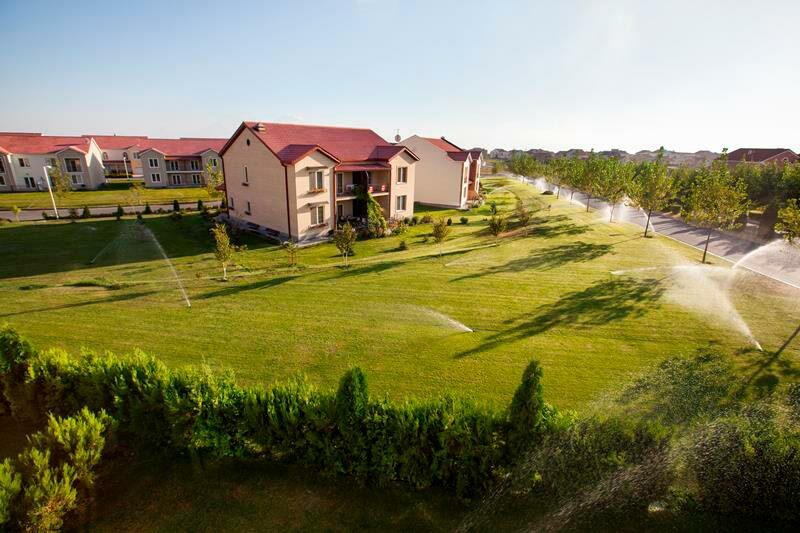 Hovnanian family lives at Vahakni Residential Community.